Washington, DC - "Read my tweets, we will not shut up if taxes are raised for any American..." writes Senate Minority Leader Mitch McConnell (R-KY) in one of his pithy Twitter messages that are quickly becoming the norm for U.S. senate filibuster hearings. In a little known agreement between Republicans and Democrats this year, it was decided that senators would be able to use Twitter to instantaneously send short electronic filibuster messages in lieu of the existing practice of speaking continuously on the senate floor. "We used to have only a maximum of 100 characters in the senate, so it's really changed the way we go about blocking legislation," explained McConnell in a rare live speaking appearance. "The old rules were so outdated. Can you believe they used just stand up there and talk for hours, or days even? I don't know how they prevented anything from getting done back then." 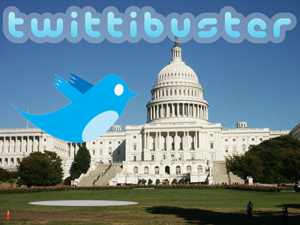 According to recent updates, filibusters are up 5000% since the Twittibuster Agreement of '09, as it is referred to in beltway circles. Russ Feingold (D-WI) uses Twitter to filibuster "almost everyday." "It helps me stay hyper-connected to my friends, family, and political opponents in the minor party," Senator Feingold posted in a virtual press conference via Twitter. 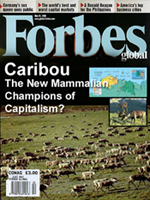 "This will make filibustering, and America, more efficient. Also, from now on all of my communications with the public, press, or colleagues will be posted on my official Twitter page. g2g/ttyl." While Republicans like Senator McConnell enjoy the quality of life improvements brought on by new technology, they warn against some of the potential abuses of fraudulent accounts. "A few weeks ago the Democrats were able to achieve a supermajority to prevent Susan Collins' filibuster over the stimulus bills thanks to posts from a user named 'Sen8trMMcCnl', which turned out to be a 20-year-old Berkeley student pretending to be me, tweeting from the restroom." Senator McConnell recently sent a Facebook message to every member of Congress to be sure they followed "TheRealAddisonMitchellMitchMcConnellJr" Twitter user to avoid any further confusion. In addition to making Senate procedures less time and cost-intensive, Twitter-based filibusters are also allowing senators to learn more about each other's daily routines, culinary habits, and pop-culture tastes. "I had no idea Senate Majority Whip Richard Durbin (D-IL) enjoyed light jogging, butternut squash soup, AND 'Return of the Jedi' as much as I do, but there it was mentioned in his filibuster over judicial appointments," described Senator Lamar Alexander (R-TN). "Sometimes I like to filibuster in all CAPS," he added, "to really show members of Congress how passionately I oppose stem cell research, universal health insurance, and that new Rihanna song."